Even as the typical Roman helmet became simpler and more protective, the officers still sought to distinguish themselves from others. This Late Roman Officer Jeweled Berkasovo Helmet is similar to a standard helmet, except that it is far more ornate. Like the typical late Roman trooper helmet, this helm features a typical skullcap design that features a rounded crown ideal for guiding blows off the top of the head. The top is also reinforced by a large ridge along the centerline of the helmet. A nose piece extends down in the front of the helmet, while three flaps protect the sides and back of the wearers head and neck. 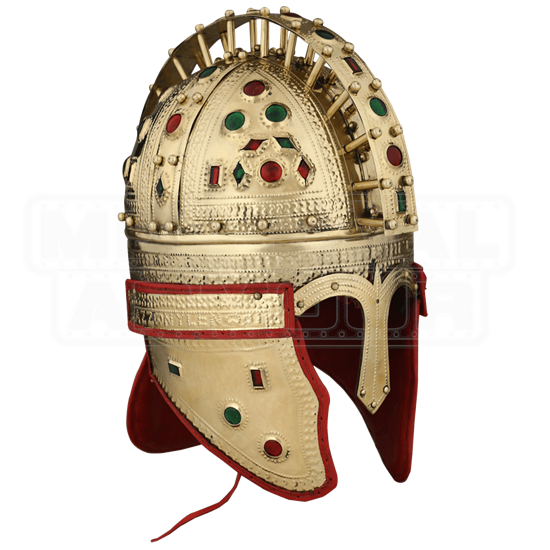 The difference between this helmet and others is that this helmet features a rich, gilded look that has been studded with blue, green, and red jewels, all to enhance the appearance of the helmet and make it into an impressive badge of office fit for any decorated officer. The helmet is made entirely from quality metals, and it features a polished finish that gives the helmet a resemblance to polished gold. 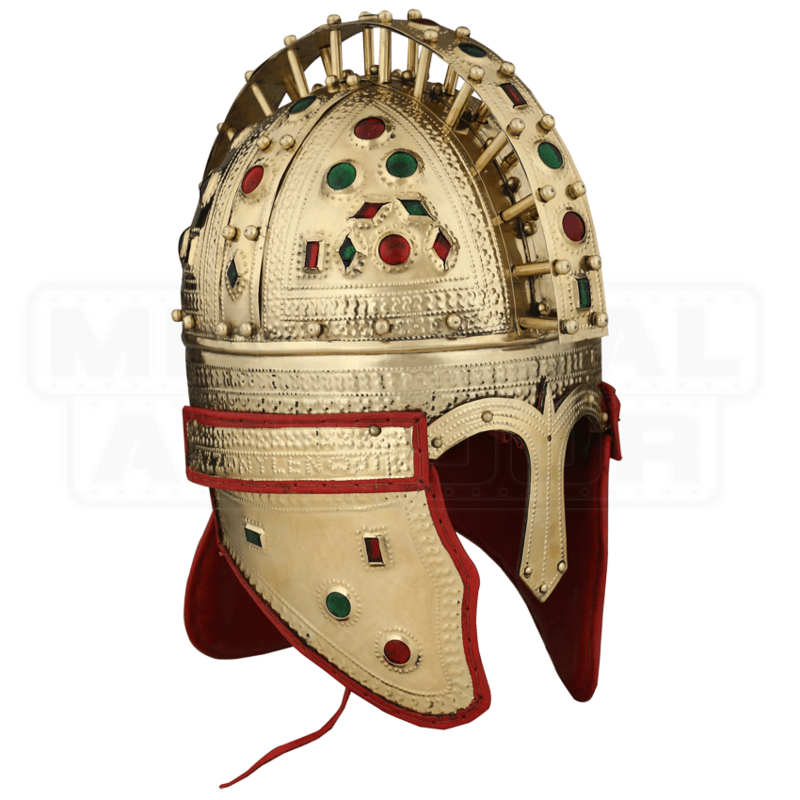 With its rich and decorative appearance, this Late Roman Officer Jeweled Berkasovo Helmet would be the perfect way to set an officer apart from the regular troops, and it would also make a fantastic centerpiece to add to virtually any collection of historical Roman artifacts.